Entergy (NYSE: ETR) is a large cap company that operates within the electric utilities industry. Its market cap is $14 billion today and the total one-year return is 12.81% for shareholders. Entergy stock is underperforming the market. It's beaten down, but it reports earnings soon. So is it a good time to buy? 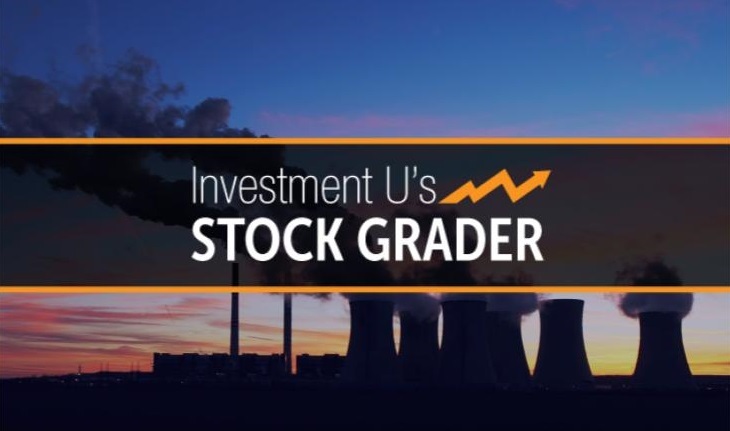 To answer this question we've turned to the Investment U Stock Grader. Our research team built this system to diagnose the financial health of a company. ✗ Earnings-per-Share (EPS) Growth: Entergy reported a recent EPS growth rate of 2.3%. That's below the electric utilities industry average of 181.43%. That's not a good sign. We like to see companies that have higher earnings growth. ✓ Price-to-Earnings (P/E): The average price-to-earnings ratio of the electric utilities industry is 45.79. And Entergy's ratio comes in at 11.29. It's trading at a better value than many of its competitors. ✗ Debt-to-Equity : The debt-to-equity ratio for Entergy stock is 182.43%. That's above the electric utilities industry average of 129.19. That's not a good sign. ✗ Free Cash Flow per Share Growth : Entergy has decreased its FCF per share over the last year relative to its competitors. That's not good for investors. In general, if a company is growing its FCF, it will be able to pay down debt, buy back stock, pay out more in dividends and/or invest money back into the business to help boost growth. ✗ Profit Margins : The profit margin of Entergy comes in at 12.38% today. And generally, the higher, the better. We also like to see this ratio above competitors. Entergy's profit margin is below the electric utilities average of 27.84%. So that's a negative indicator for investors. ✗ Return on Equity : Return on equity gives us a look at the amount of net income returned to shareholders. The ROE for Entergy is -9.36% and that's below its industry average ROE of 8.99%. Entergy stock passes one of our six key metrics today. That's why our Investment U Stock Grader gives it a Sell. Please note that our fundamental factor checklist is just the first step in performing your own due diligence. There are many other factors you should consider before investing. That's why The Oxford Club offers more than a dozen newsletters and trading advisories all aimed at helping investors grow and maintain their wealth. If you're interested in finding Strong Buy stocks yourself, check out 3 Powerful Technical Indicators for Smarter Investing. We’ll show you how to eliminate emotional bias from your trading process with three powerful technical tools you can start using to boost your trading profits immediately. Click here to learn more.